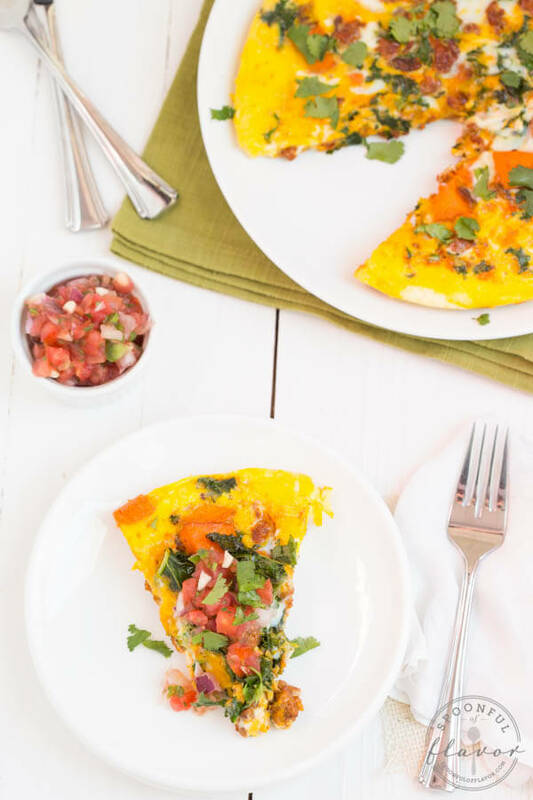 Chorizo, Kale and Sweet Potato Frittata is a one-pot meal using only five simple ingredients! Plus I’m sharing my tips for easy meal planning and cooking more at home! Do you plan your meals? Or do you stop at the grocery store every day and buy whatever you feel like that day? Or do you frequently order take out or dine at restaurants? I do a little of everything. I usually meal plan at least 5 meals during the week and then stop at the store last minute the other two days out of the week. I usually eat about one meal a week outside of my house, usually on the weekends when I am running errands or spending time with friends. Frittatas are great because they are a one pot meal that are easy and can be adapted to suit everyone’s taste. 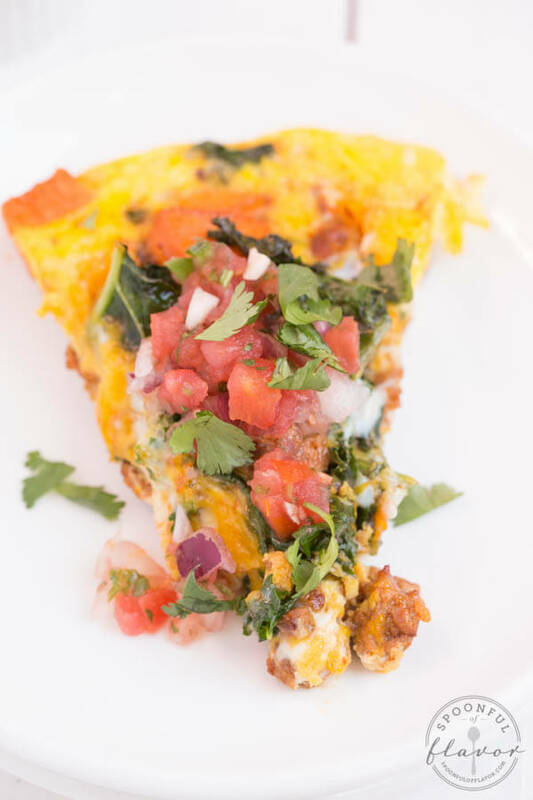 Chorizo, kale and sweet potato frittata combines chunks of veggie and flavorful chorizo. Only five simple ingredients create an easy breakfast, brunch or even dinner. 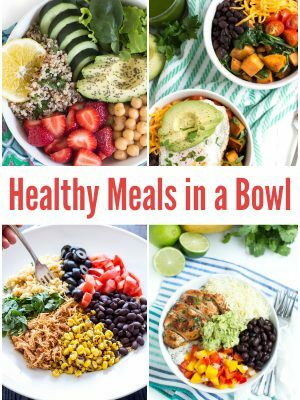 It is the perfect addition to your weekly meal plan. A few people have told me that their New Year’s resolution is to meal plan and cook more from home. Today, I am sharing a few tips for cooking more at home. I would also love to hear your tips for meal planning. Feel free to share in the comments below. 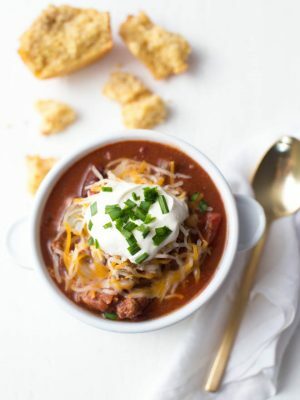 (1) Find a few recipes that you love and add them to your rotation – Browse Pinterest, your favorite recipe blog or even dig out some of your favorite cookbooks and pick a few recipes that you know you love. Having a list of recipes takes the guesswork out of meal planning. (2) Start a calendar of what you would like to cook over the next few days or weeks – A calendar helps keep you on track. You know what you want to cook and when you are going to cook it. (3) Create a shopping day and make a shopping list – Spending a few minutes each week creating a shopping list will save time and money. Scheduling a shopping day will save time and ensure that you have all of the ingredients you need on hand when you are ready to cook a delicious meal. 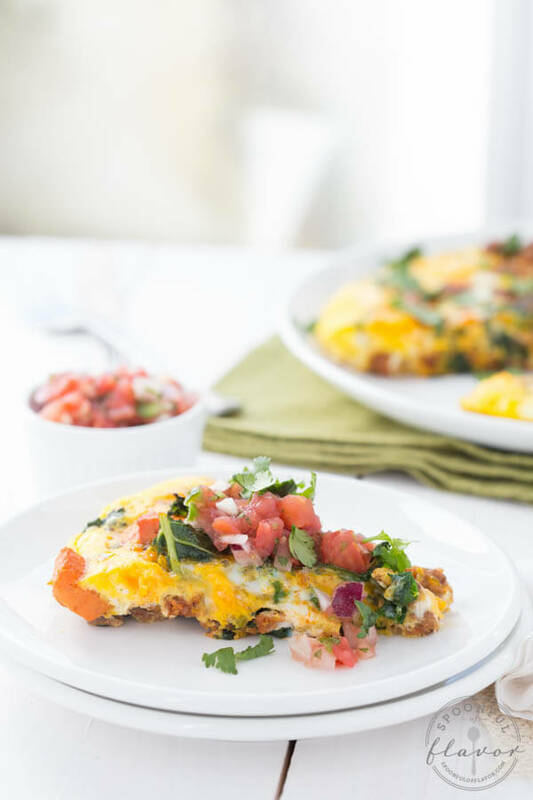 Add this chorizo kale and sweet potato frittata to your weekly meal plan and enjoy an easy and delicious meal! Chorizo, Kale and Sweet Potato Frittata is a one-pot meal using only five simple ingredients! Plus I'm sharing my tips for easy meal planning and cooking more at home! In an ovenproof 10-inch skillet set over medium heat, add ground chorizo, sweet potato, and onion. Cook for 5 minutes, or until the meat is mostly cooked through. Add the kale and cook for another 5 minutes; remove from heat. Pour eggs into pan and bake for 15 to 18 minutes, until the eggs are puffed up and cooked through. 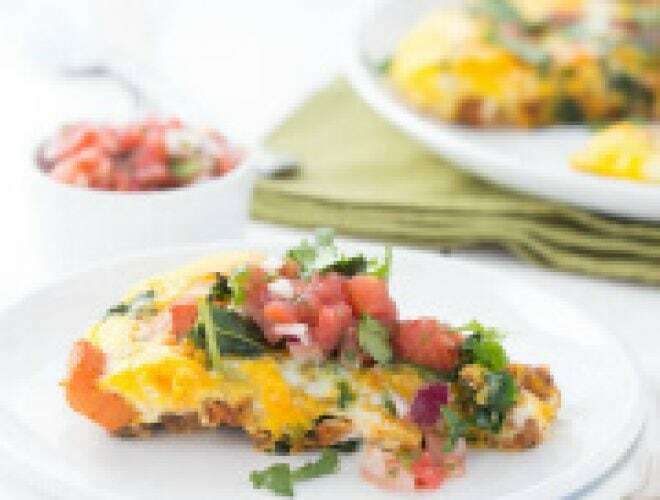 Serve with salsa and cilantro. These look very healthy and like something I might try but probably not my children, lol. Very picky eaters. You have great photos and presentation. Thanks for linking up to Oh, My Heartsie. I'm gonna try this! Looks so good! I love making frittatas can't wait to try your recipe. Found you from a hop. You have such a cute site. No meal planning at my house...which constantly results in 5pm freak-outs. Wish I had it in me to be so organized! 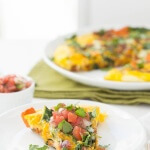 Love this fritatta, looks like a delicious breakfast or dinner! 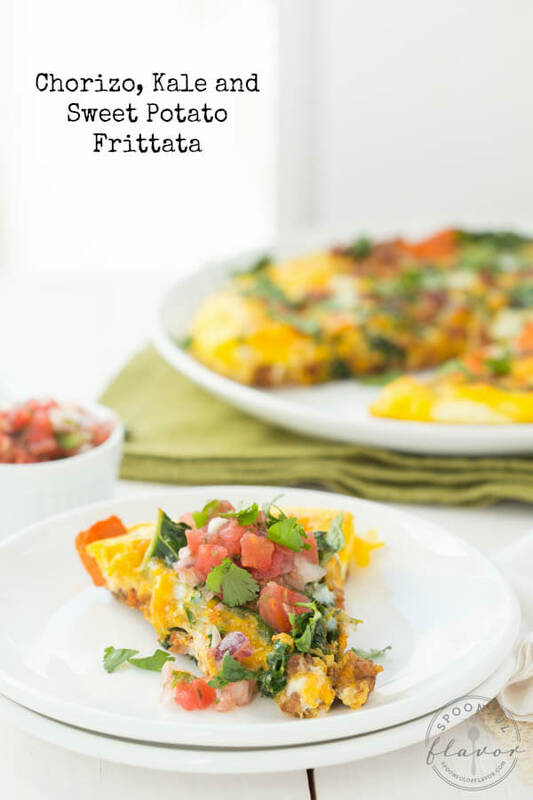 I love how versatile frittatas are and that they can be eaten any meal of the day! The combination of chorizo, kale, and sweet potato sounds amazing! 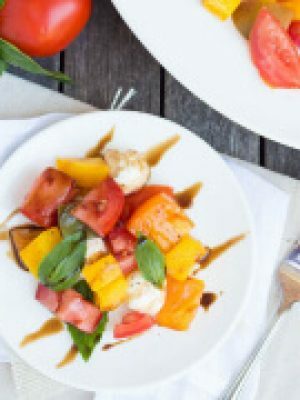 All your food recipes sound so fresh and yummy! Things I'd never think of, but they always sound so appealing!